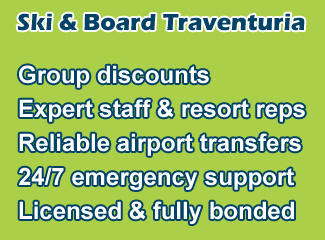 Today was another good weekday here in the Borovets ski resort. 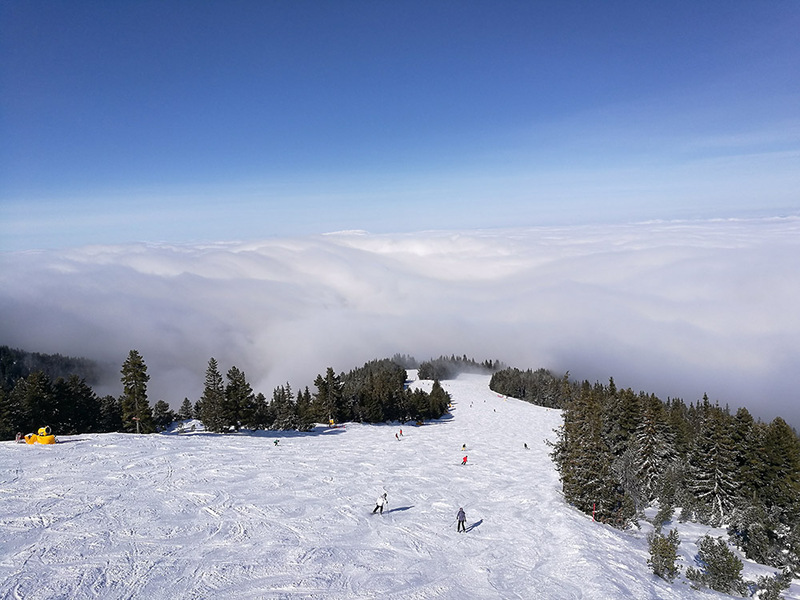 Skiers and boarders were greeted with thick fog in the lower part of the mountain, but perfect blue skies and roughly 10-15cm of fresh snow in the Markudjik Ski Center (2140-2526 m.asl.). The forecast is also looking good for the weekend, with an especially sunny Sunday, followed by more snow next week. The high-season is rolling into town, but so far mostly only the gondola queue has grown. 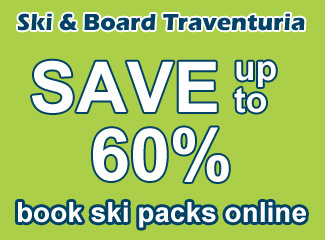 The waiting time is roughly 20-30 minutes, but add a little more time if you need to buy lift tickets. 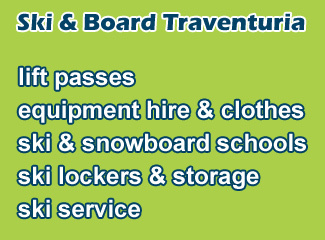 Most of the other lifts are without any serious queues, except the Markudjik 2 chairlift at times, but it’s still only 5-10 minutes. 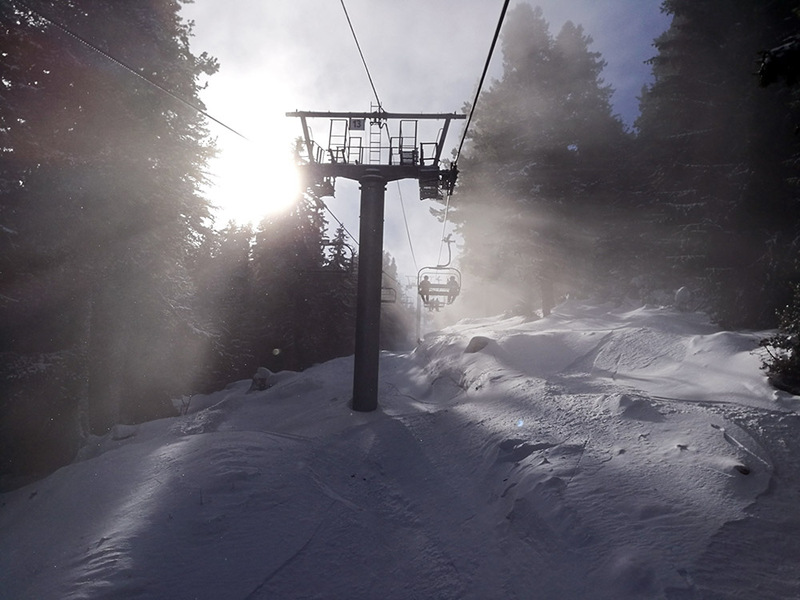 Weather conditions were perfect at the top of the mountain today, with sunny skies and soft temperatures. We got some fresh snow overnight, which was enough to reset old tracks in the off-piste, but nothing too epic. Conditions weren’t so great in the rest of the resort due to fog and very low clouds. The cloudline elevation varied between the top station of the Yastrebets Express and the middle of the Popangelov ski run. Visibility there was low and the snow cover was unpleasantly affected by the higher humidity. Exiting the clouds on the Yastrebets Express. Slope conditions in the Yastrebets and Sitnyakovo Ski Centers today were far from a perfect 10 today. This was due to last night’s snowfall, which always means the slopes the following day will be soft and get choppy very early. The Yastrebets 1 ski run has been closed again but after the exit to the gondola mid-station, so going from Yastrebets to the top gondola station is easy. But if you want to get directly to Yastrebets with the gondola from the bottom station though, you will need to ski down a small part of the closed section of this slope to get to the Yastrebets lift. On days like today, with no visibility, it’s more risky than usual as there are now plenty of rocks on this closed section of the slope. If you want to go to the Yastrebets Ski Center with the gondola, we recommend you take it all the way to the top and ski to Yastrebets down the Haramia ski run. The two open and groomed slopes in Yastrebets were in good conditions, but not very well shaped. Add low visibility into the mix and we found ourselves skiing too slow for our liking. Thankfully conditions in the Markudjik Ski Center were perfect. The Yastrebets 1 ski run is closed and not groomed. Upon the top of the mountain, we had left the clouds below us and were able to enjoy the sunshine. 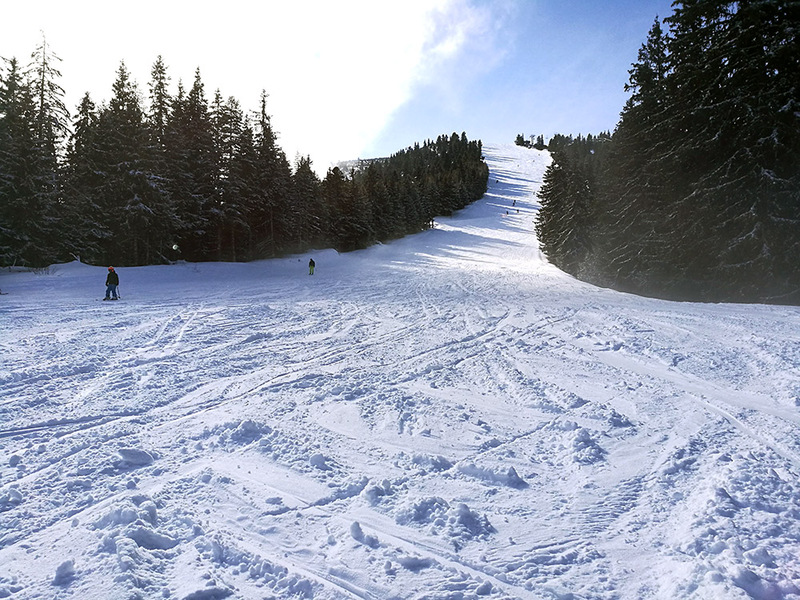 The slopes in the Markudjik Ski Area were the best in Borovets today, with a very decent snow cover. Off-piste was also very good in the lower parts, as the top was a little windblown. This means that the wind had blown off some of the fresh powder, leaving only a hard layer on top. The Musala Pathway is also open, which connects the Markudjik Ski Center with the hotel area and bottom gondola station, without having to go through the Yastrebets Ski Center. Conditions on it, however, could be better in the lower part, where there are some rocks and plenty of bumps. 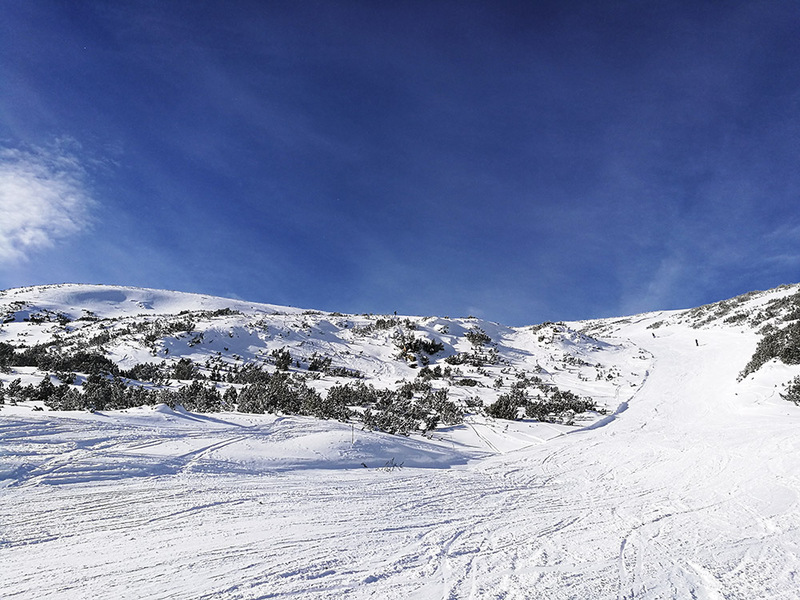 The Markudjik 3 ski run and to the left is some of the best freeride terrain Borovets has to offer.